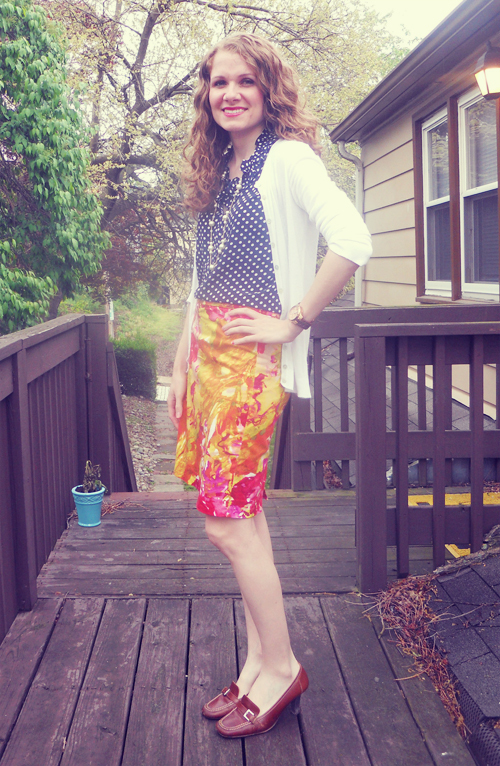 I love the fruit-inspired, bright color combo of this outfit. 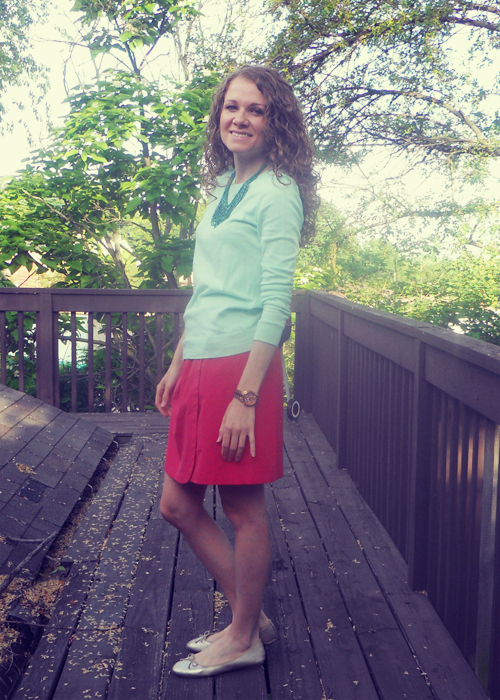 It’s a fun way to wear mint for summer. I had been riding out the mint trend, not really buying anything at retail price because I couldn’t find anything I thought would have longevity in my closet and that would be worth the price even for a trendy moment. I walked into Gap one day not looking for anything in particular when I found this sweater discounted to $12! I knew it would go further than say a pair of mint jeans, for me anyways. It’s something I knew I would wear beyond the mint trend and at that price I had to get it. 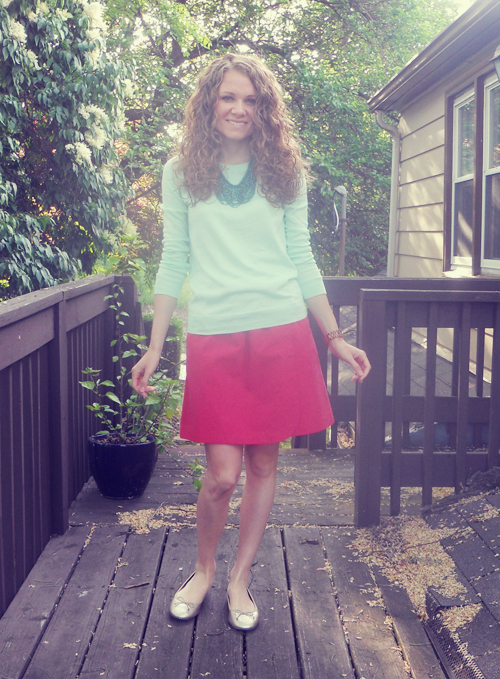 It has been nice to have a summer-appropriate sweater to throw on that is bright and not too heavy for those days when the AC is on strong at work or when the nights get chilly. 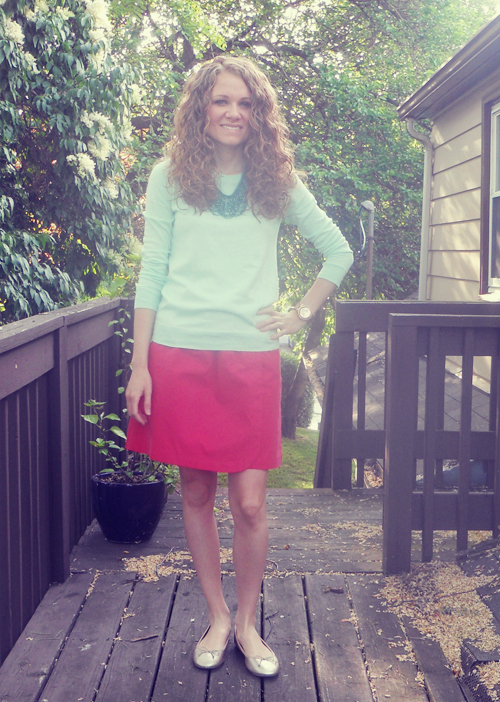 Has the mint trend been working for you lately? When I first moved into my place two years ago, I was in need of all kinds of furniture. After living with my parents, I had no furniture of my own. Luckily, I was able to rely on some generous hand me downs and many garage sales, tree lawns and thrift stores. We had seen the large piece of glass earlier in the day at a garage sale and thought it might come in handy. The owner only wanted $10 for it so it seemed like a steal. 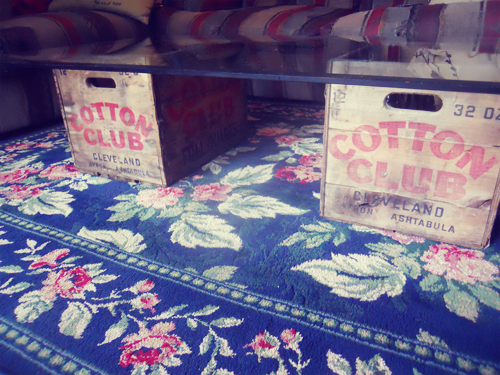 When we later found one of the vintage Cotton Club crates at an antique shop we frequent, we knew we needed to go back and get the glass. The only problem was we were in need of one more crate. A few Google searches later, and I found the same exact crate being sold online. 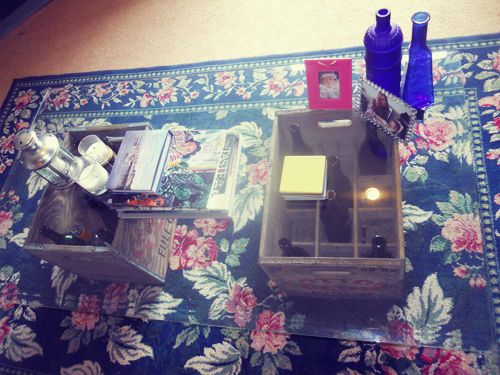 I couldn’t be happier with my unique and thrifty coffee table. 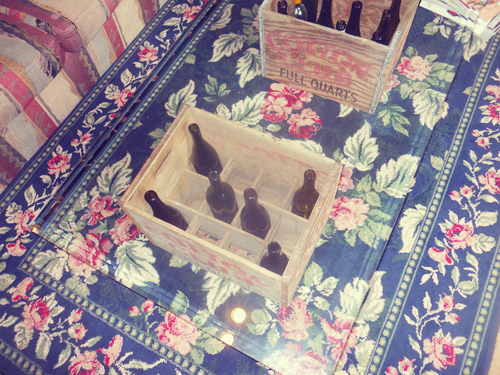 We started saving our used wine bottles to put in the compartments inside the crates, which we are still in the process of completing. The aged quality of the crates makes a nice contrast against my formal rug and I love the little nod to my hometown on the side. 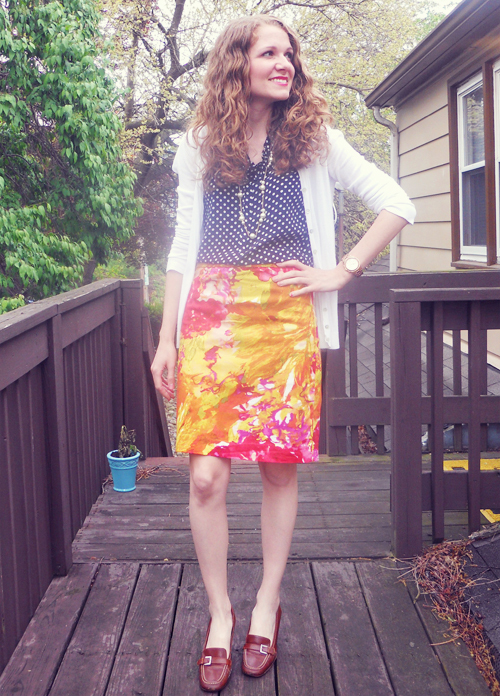 This skirt goes with many things in my closet, but I can’t help but love the intentional mash up of this impressionist print skirt and stately polka dot blouse. 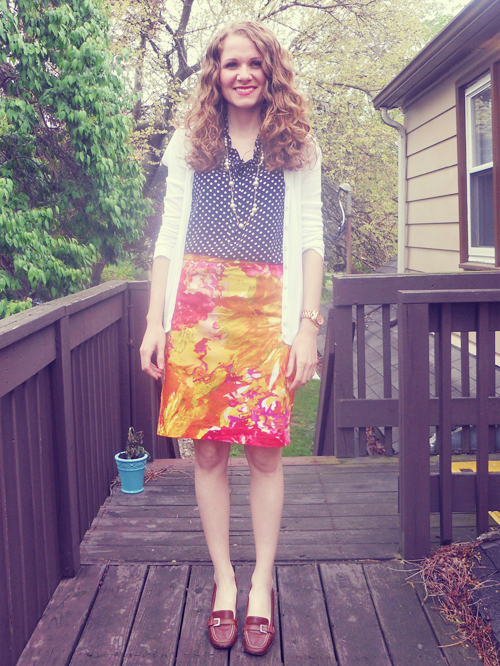 My rule for mixing here: Navy blue and white go with the different colors of the skirt on their own so why not all together? The more the merrier! That logic might not apply in all instances of print mixing, but I’ve found it’s at the very least a good rule of thumb.